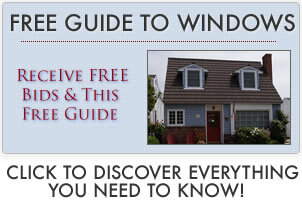 Curious about the anatomy of a window? 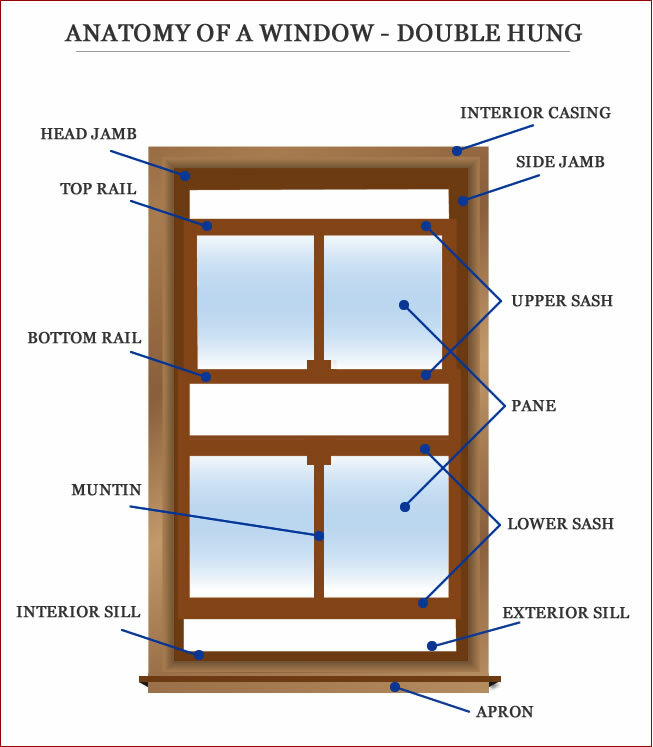 We have put together an illustration of double-hung windows along with the terms that describe the anatomy or parts for replacements or new construction windows. We have also included definitions of applicable terms if you scroll down. Horizontal piece/slat of trim beneath the window sill. A type of gas that is used to replace the air in double or triple glazes to increase the energy efficiency by decreasing the amount of heat loss. A sash that is hung or mounted on pivot pins in the center so the sash can be pivoted open in order for easy cleaning. The fixed part of windows (the perimeter) within which the sash or panes of glass are mounted. The frame along the top. Also called the header. The frame members on each vertical side (similar to the ‘head’ which is the frame member on the top of the window). The main parts of a frame (the jambs (sides), head (top) and sill (bottom)). Horizontal rails of two opposing sashes that meet when the unit is closed. The part of windows that contains the panes of glass. It can be fixed to the frame or can be movable. Sash LockA lock that works by having one portion of the lock on each of the meeting rails of windows (a cam lock on the lower sash and the matching receptacle on the upper sash). The horizontal shelf that sits along the bottom interior of a frame.